Long exposure helps create the ghostly effect against a brightly lit background. 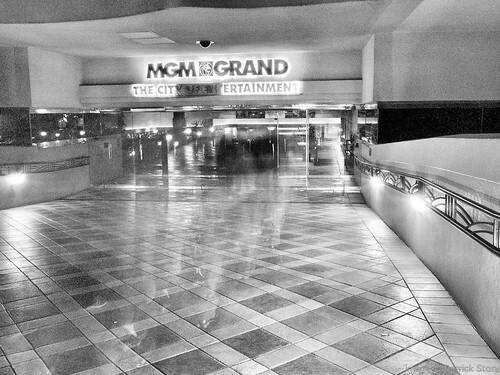 When you think about photographing Las Vegas, you probably see bright colors against a dark background. Right? Well, not necessarily. 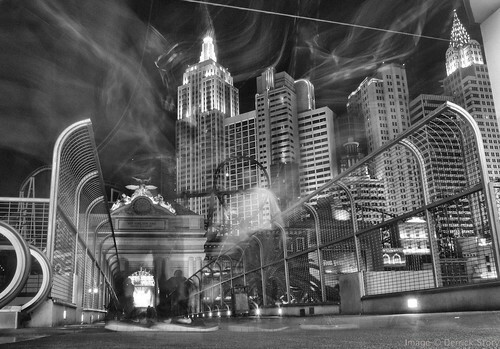 Whether it's Sin City or The City by the Bay, don't forget B&W. 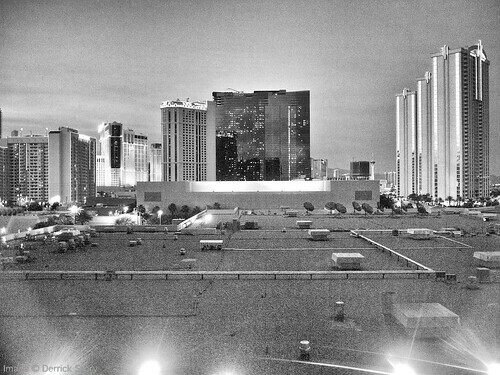 By removing color from the composition, you reveal a different place - the city behind the glaring lights. The wispy effect is created by moving people during a long exposure. Photos by Derrick Story. My favorite approach is to shoot in Raw, leaving all of my options available. Then, as I review the work on my Mac, I look for compositions than lend themselves to B&W. I test those candidates in Silver Efex Pro by Nik Software. And I always seem to come away with a handful that I like. So yes, Las Vegas is colorful. But it's also rich with interesting lighting and structures, which is perfect for B&W shooting.